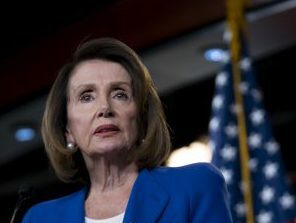 WASHINGTON – House Speaker Nancy Pelosi took issue with Attorney General William Barr’s decision to send Congress a four-page summary of Special Counsel Robert S. Mueller III’s final report on Russian interference in the 2016 U.S. Presidential Election. “It was condescending. It was arrogant. And it wasn’t the right thing to do,” Pelosi (D-Calif.) said at a news conference on Thursday. Pelosi reiterated her request that Barr make the entire report public. Several House committee chairs have asked Barr to turn over the report by April 2. Barr sent a letter to key lawmakers on Capitol Hill Sunday that said Mueller did not find any evidence of collusion between members of the Trump campaign and Russian officials during his 22-month investigation. Republicans have argued that the finding of no collusion should mean an end to Democratic congressional probes into the matter.